Tenders - The Unsung Heroes by Ralph Shanks Jr.
Lighthouses with their humanitarian keepers and ghost stories are well known to many. Lightships, though less popular, also have a wide following. But there is one aspect of the Lighthouse Service and its successor, the Coast Guard, that has been sadly neglected - the tender. 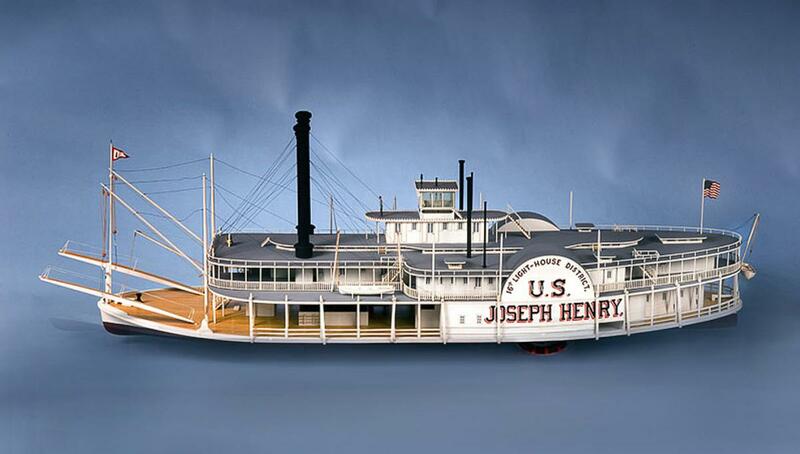 Under the U.S. Lighthouse Service it was known as a Lighthouse Tender. Under the Coast Guard they are known as buoy tenders. This vessel tends buoys, hauls supplies, conducts search and rescue and law enforcement operations and sails in harms way. 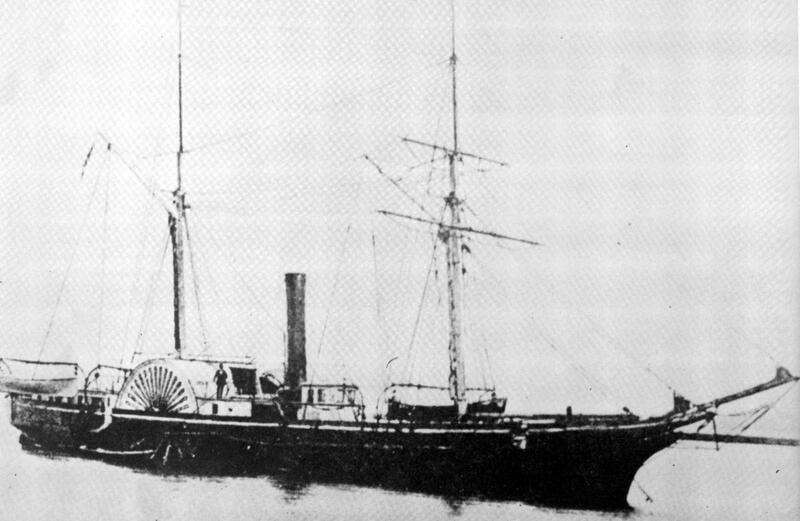 Under the USLHS tenders also towed lightships to station (prior to powered light vessels) and transferred the keepers, their families and possessions from station to station. The tender was the vehicle used by the District Inspector for his yearly white glove inspection of light stations. The ships were not large, generally ranging from 90 feet or less on up to 200 feet or so in length. Although it varied with vessel size, most tenders averaged around 20 crewmen and a half dozen officers. A large boom was prominently mounted on the forward buoy deck and was used to work buoys and supplies. It was common to see one or more buoys on the buoy deck as the vessel cruised along the coast. The larger tenders worked the open sea and dangerous offshore light stations. Smaller tenders serviced buoys, day marks and echo boards on bays and rivers. Interestingly light stations, even in protected waters, were usually supplied by the larger tenders and these ships are most commonly remembered by lighthouse families. If you were an early light keeper (or spouse), the arrival of the lighthouse tender had great significance. First of all, it usually carried your pay during the days when gold coin was used. Secondly, it brought mail and news of friends and relatives. Third, the tender had on board your very means of survival – the vital supplies of food, fuel, medical aids, repair parts, and much more that you needed for the coming months. The District Lighthouse Superintendent, the lighthouse inspector, was often on board, too. Many inspectors were men of the highest standards and they checked every inch of the light station. Captain Harry Rhodes of the 12th district in California was a legend in his own time. (See “Keeper’s Log” Summer, 1985 for his photo). Captain Rhodes wore white gloves during his inspections and he ran them behind coal burning stoves and on top of doorsills looking for dust. He inspected the lens and lamps and the coal shed and the laundry. Old timekeepers swear that a supply clerk once accidentally issued 13 pencils instead of the regular dozen. The tender was requested to return the extra pencil on its next visit. Captain Rhodes was strict, but his high standards helped earn the Lighthouse Service its prestigious reputation. It was his and his fellow District Superintendent’s regular calls by lighthouse tender that enforced such high standards and tied the light stations to headquarters. Family life, too, was linked closely to the lighthouse tender. It was on board such a vessel that the young keeper and his bride typically reached their first lighthouse home. Later, the tender would sometimes bring pregnant wives ashore to have their baby or, alternatively, bear the welcome face of a mother or aunt to the remote station to help with the anticipated birth. A child’s first trip was usually by tender and it was on such a ship that treasured Christmas presents arrived. If a youngster was sent away to boarding school, as many light keeping families were forced to do, it was the lighthouse tender’s arrival that symbolized entering the outside world. When there was a medical emergency, the doctor arrived on the tender. All through the decades, on shore leaves, station transfers, visits to the doctor or dentist, and trips to headquarters it was the appearance of the tender that was associated in memory with the moment. And, yes, when a keeper finally crossed over the bar, he or she made their last voyage on a lighthouse tender. The lightship crews looked to the tender as well. Moored for endless months off America’s coasts, these men often lived for the day when the tender arrived with mail, newspapers, and fresh food. Since the lightship wasn’t going anywhere, the only way the lightship crewman was likely to get off the vessel was when relief crewmen arrived regularly by tender. 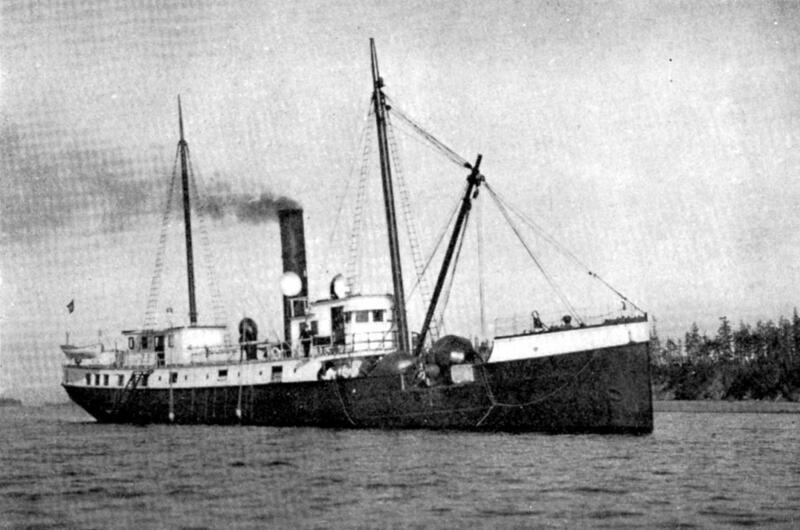 Even if the lightship was scheduled to return to port for repairs, during the early days it had to be towed in by lighthouse tender since many lightships were unpowered until later years. Navigational aids largely indicate the limits of where ships may go. They commonly mark the edges of channels, the presence of hidden dangers, the location of a sunken ship, or some other hazard. Buoys, lighthouses, and lightships all may mark a channel, but they are also telling ships to stay away from some nearby danger. It was in just such areas that the lighthouse tender had to routinely work, going where no other ship was supposed to go. Her reward was improved safety at sea for other vessels, but tenders often paid the heavy price of a ripped out hull. Given such heroism and service, it is sad that lighthouse tenders (and their buoy tender offspring) have not received more recognition. They were the very life-blood of the Lighthouse Service, a lifeline linking isolated stations to civilization. We are making steady progress in preserving lighthouses. Likewise, lightships are displayed from Nantucket Island to Astoria, Oregon. But the ship most commonly used by lighthouse keepers remains tragically overlooked. I can find no listing of a maritime museum anywhere in the country, which owns a lighthouse tender, although I would be delighted to be proven wrong. Be that as it may, lighthouse (and buoy) tenders desperately need to be included in our historic preservation work. The U.S. Lighthouse Service built lighthouse tenders right up through its merger into the Coast Guard in 1939. Among the very last built was the beautiful tender Fir. Construction was started by the Lighthouse Service and she was launched by the Coast Guard as a buoy tender. Thus, this historic ship spans both Services and links them closely together. 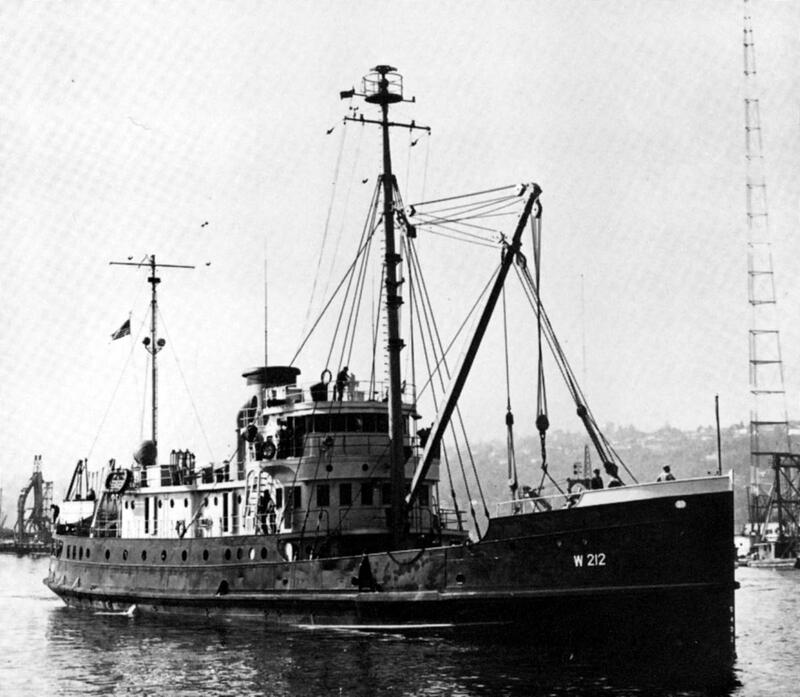 The Fir was the culmination of lighthouse tender design and the foundation for modern Coast Guard buoy tender development. Her classic lines, graceful hull, traditional bridge, and proud bow all combine to make her the best example of a lighthouse tender afloat today. Currently based in Seattle, retired Coast Guard Commandant Admiral J. S. Gracey called her “The last of a breed.” I believe that her preservation has national importance, as do those of us who share our love of the Lighthouse Service and the Coast Guard. Lighthouse tenders have been overlooked in past preservation projects and the need is critical.